Are you interested in an Apprenticeship? 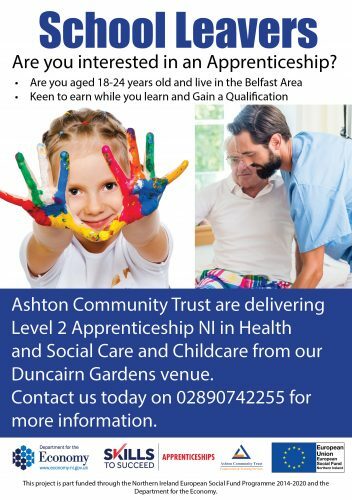 Ashton Community Trust are delivering Level 2 Apprenticeship NI in Health and Social Care and Childcare from our Duncairn Gardens venue. Contact us today on 02890742255 for more information.